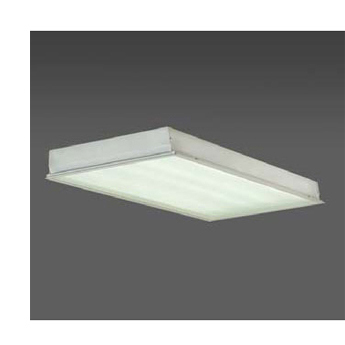 This premium grade 2×2 or 2×4 fixture is available in 2, 3, 4, and 6 lamp configurations, in T8/T5. 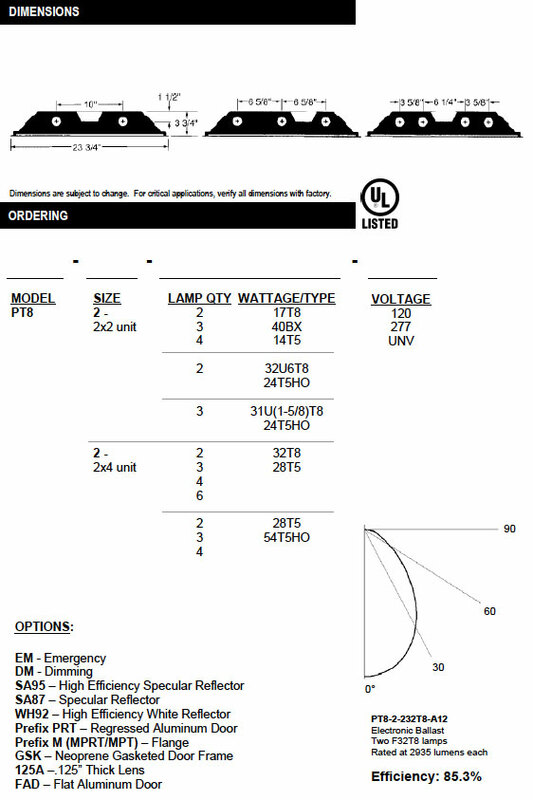 Low profile design engineered for the T8 and T5 technology utilizing electronic ballasts. Flush steel doorframe hinges from either side and is secured by rotary cam-type latches. For mounting in exposed T-Bar (grid) ceilings. Optional flanged construction for various other ceiling types. Suitable for through wiring. Fixture housing flanges rolled to eliminate sharp edges. Die-formed heavy gauge rust inhibited steel unitized into one piece with mitered corners. Acrylic prismatic is standard. Consult option sheet or call for other shielding. All metal parts are phosphate coated and painted electrostatically with baked white enamel, providing a durable finish with a minimum 89% reflectance.